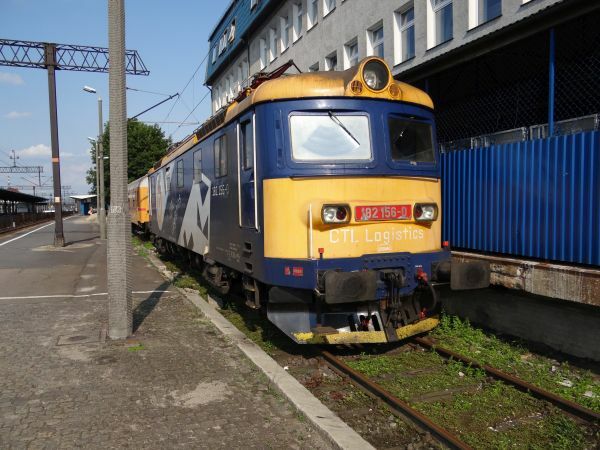 Several Polish private companies - including also international companies active in several countries - have cheaply bought old locomotives from Czech Republic, Slovakia and Romania and have brought them into Poland. This is one example. This is an old Czech class 182 machine, now owned by CTL Logistics. CTL is a Polish company, formerly Chem Trans Logic. 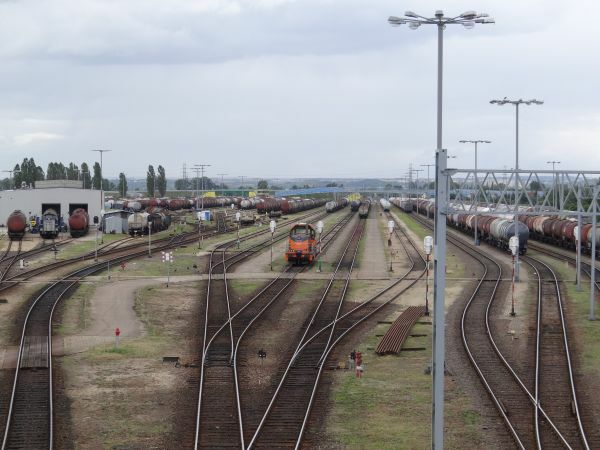 They own 165 locomotives. The Czech class 182 used to be Czechoslovakian ČSD class E 669.2, a locomotive built by Škoda Works 1963-65. 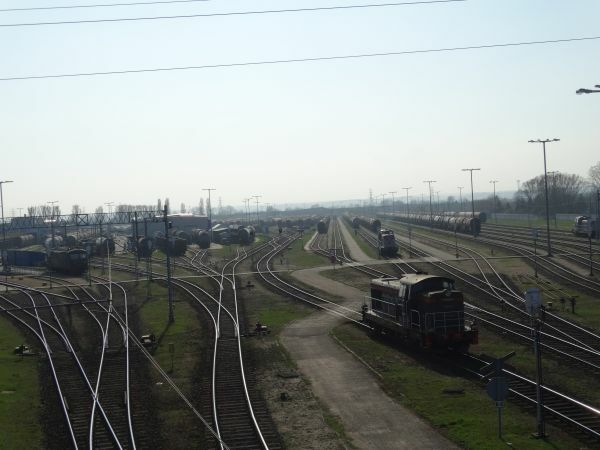 Most have been scrapped, but some are still in use in Czech Republic, Slovakia and Poland. In Poland two companies use them still. 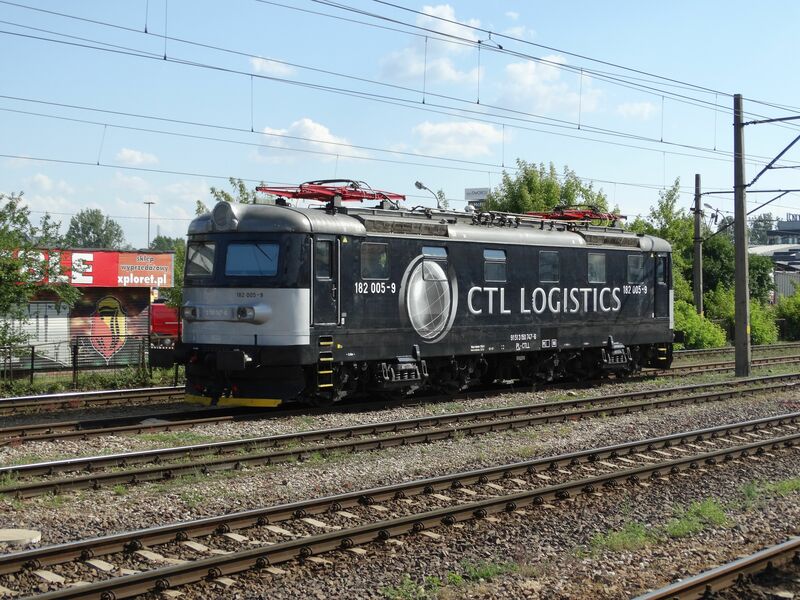 Another view of the same old Czech class 182 machine of CTL Logistics. 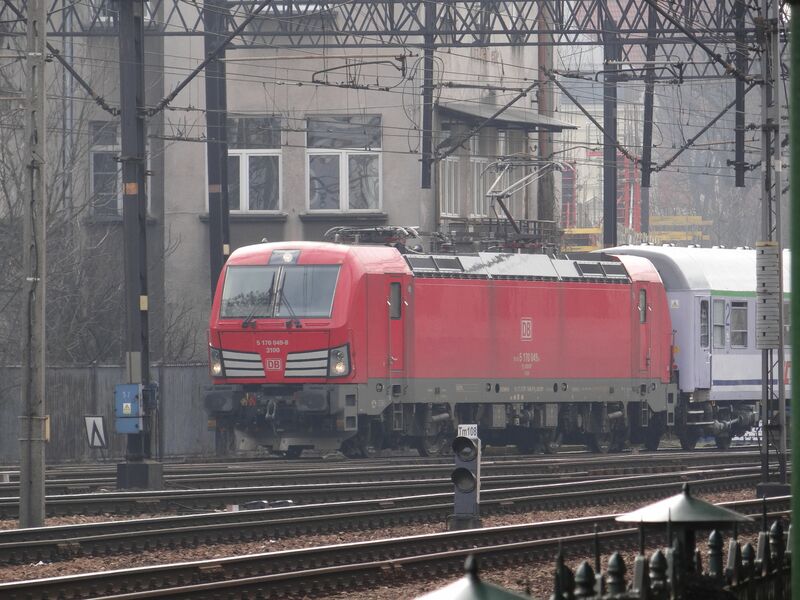 Another old Czech class 182 locomotive of CTL Logistics trying to hide behind poles and in the foggy weather. 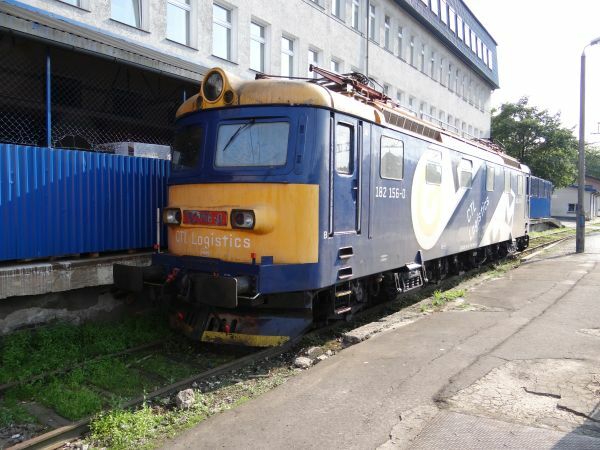 Yet another old Czech class 182 locomotive of CTL Logistics, this time a bit better seen. 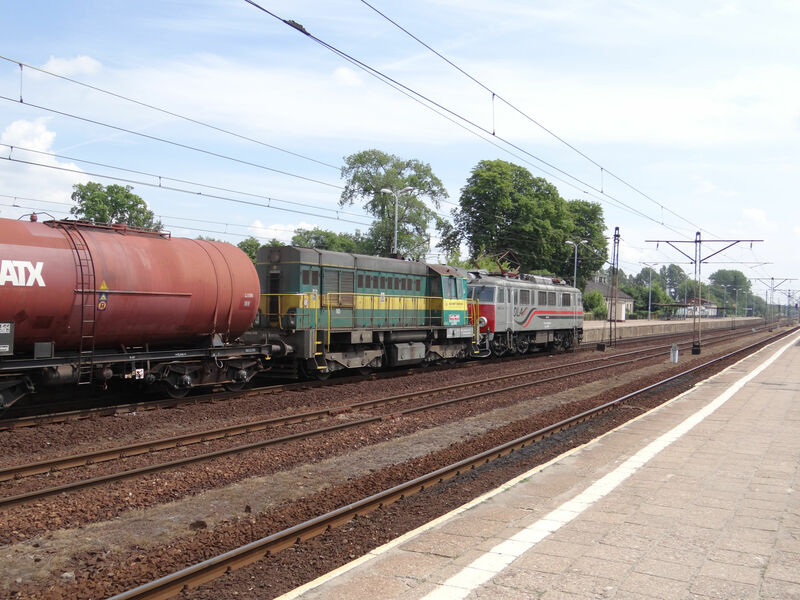 Picture from Bialystok station 29.6.2018 by Ilkka Siissalo. A class 66 locomotive of the German DB Cargo (formerly DB Schenker Rail Polska) hauling a heavy coal train. 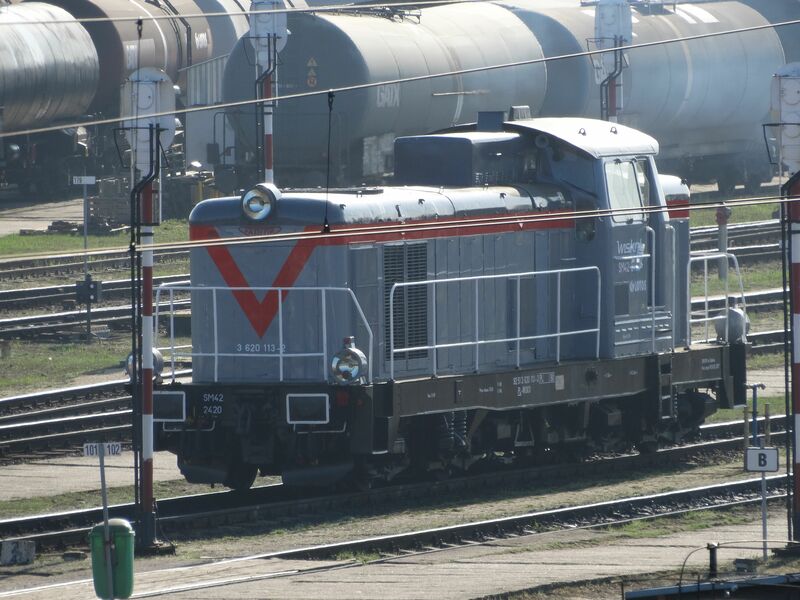 Note the UIC table at the side of the locomotive: The machine is still in UK register. Photo from Rybnik 29.6.2015 by Ilkka Siissalo. 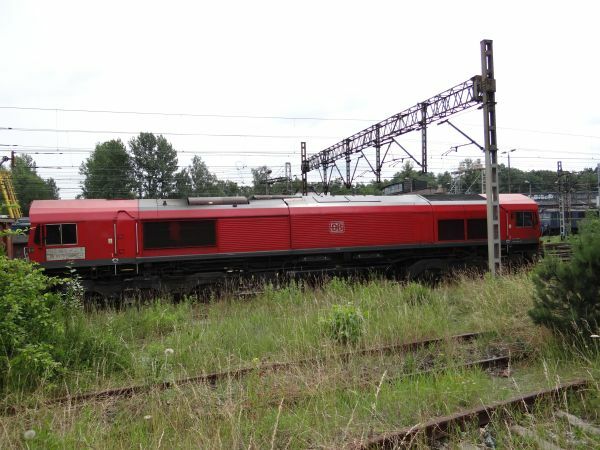 Another class 66 diesel of DB Cargo in UK register hauling a heavy coal train. Photo from Rybnik 29.6.2015 by Ilkka Siissalo. 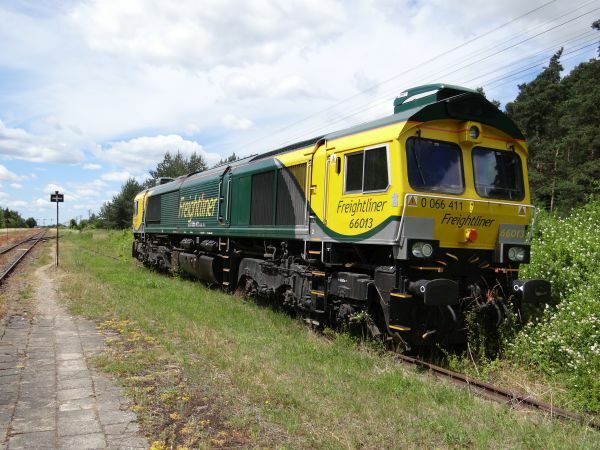 Germany lost in WWII its precious coal mines of upper Silesia, but today it's again German DB trains that haul the coal there. Photo from Rybnik 29.6.2015 by Ilkka Siissalo. 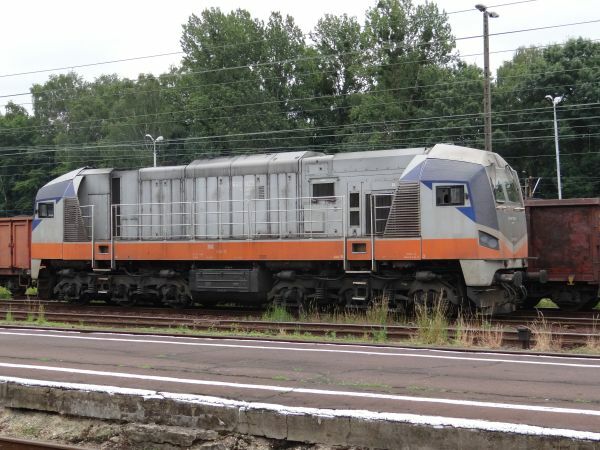 This incredible and odd looking creature is a totally renewed old Russian M62 locomotive. It has been rebuilt beyond recognition and it is not immediately eveident from the picture either, but it actually belongs to DB Cargo. DB uses it for transporting Silesian coal to the ports by the Baltic Sea. Photo from Rybnik 29.6.2015 by Ilkka Siissalo. Another picture of the same rebuilt M62 as above. 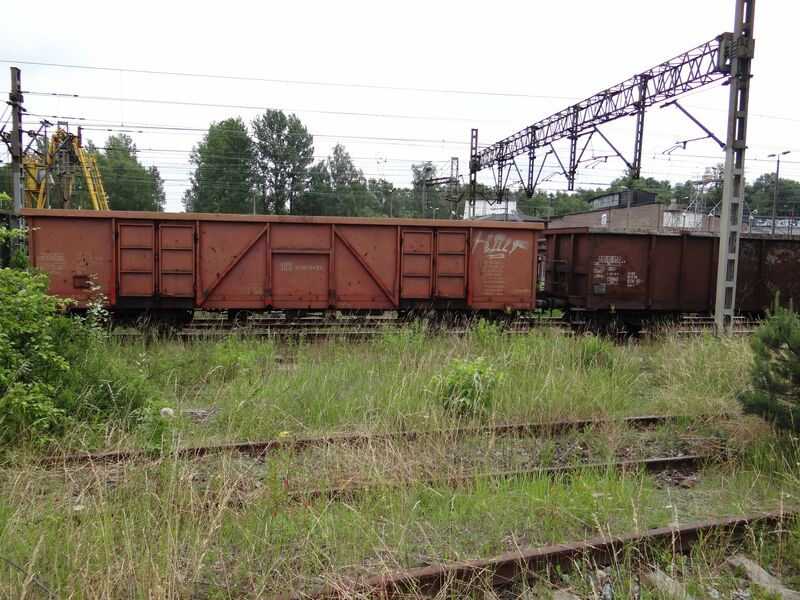 Only the undercarriage structures and bogies are left from the original Russian locomotive. Photo from Rybnik 29.6.2015 by Ilkka Siissalo. Photo from Rybnik 29.6.2015 by Ilkka Siissalo. This is a new Siemens Vectron, class 5170 of DB Schenker Rail Polska, here rented for trial purposes to PKP Intercity. Picture from Krakow Glowny 7.3.2015 by Ilkka Siissalo. A class 66 locomotive of the British company Freightliner, moved from Britain to Poland and here parked at a siding near the small village of Papierna in eastern Poland. Picture by Ilkka Siissalo 25.6.2015. 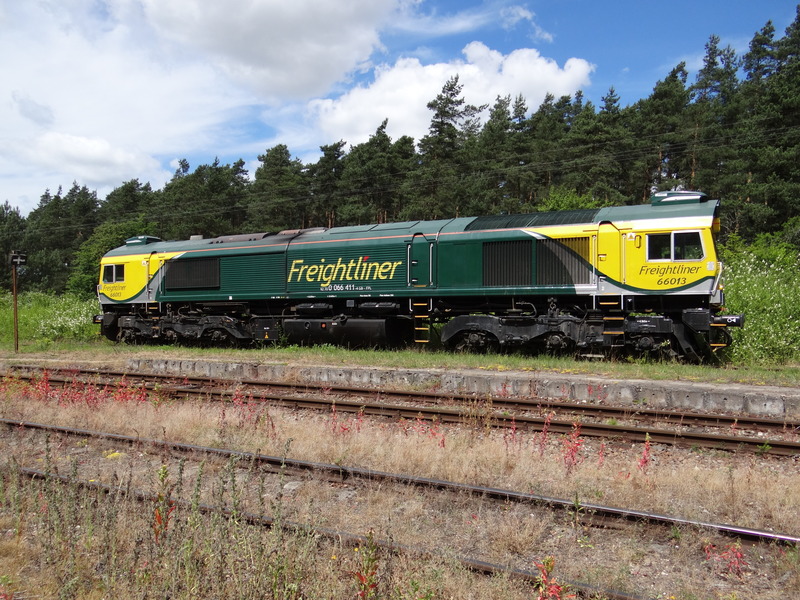 The class 66 is something very British and very odd in the Polish countryside, but there is a paper factory in Papierna, which probably is the reason why the machine was there, engines running. Picture in Papierna by Ilkka Siissalo 25.6.2015. Lotos is a large petroleum and chemical industry company, which has its own railway subsidiary Lotos Kolej (Lotos railroads). 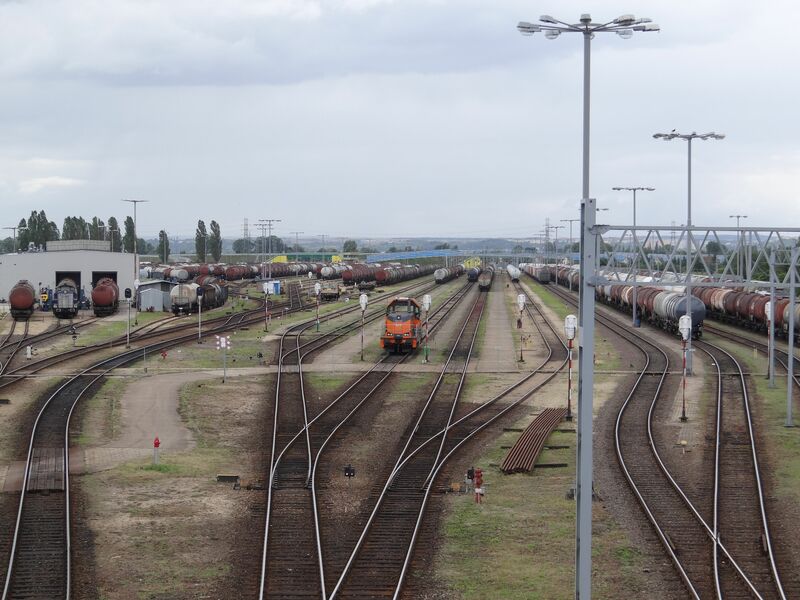 This picture is from the main depot of Lotos Kolej in Gdansk. 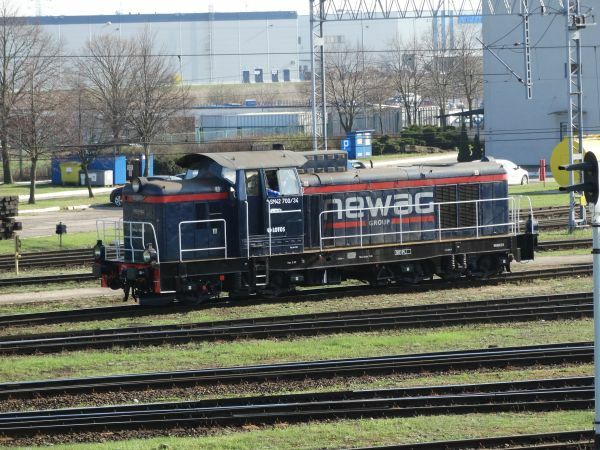 The locomotive is an old PKP diesel switcher of the class SM42, but modernised by the company Newag and operated by Lotos. Picture in Gdansk 4.4.2017 by Ilkka Siissalo. 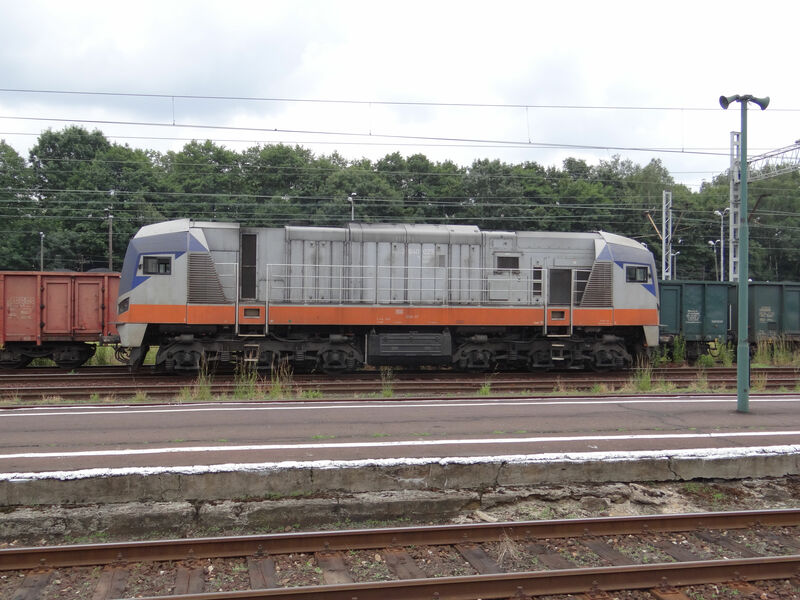 Another SM42 switcher. This one is owned by the company Wiskol, but it operates on behalf of Lotos Kolej. Picture in Gdansk 4.4.2017 by Ilkka Siissalo. 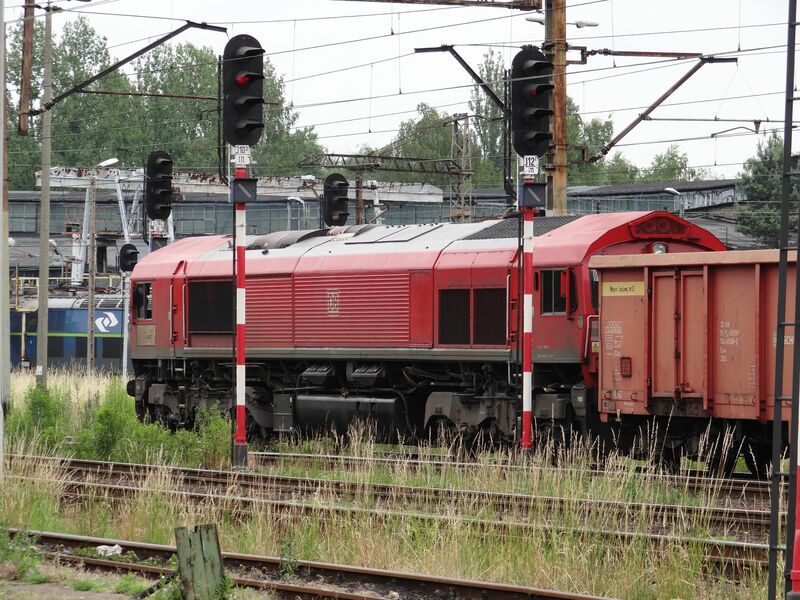 Lotos Kolej has also old SM42 switchers carrying its own colours. Picture from Lotos' depot at Gdansk 30.6.2013 by Ilkka Siissalo. 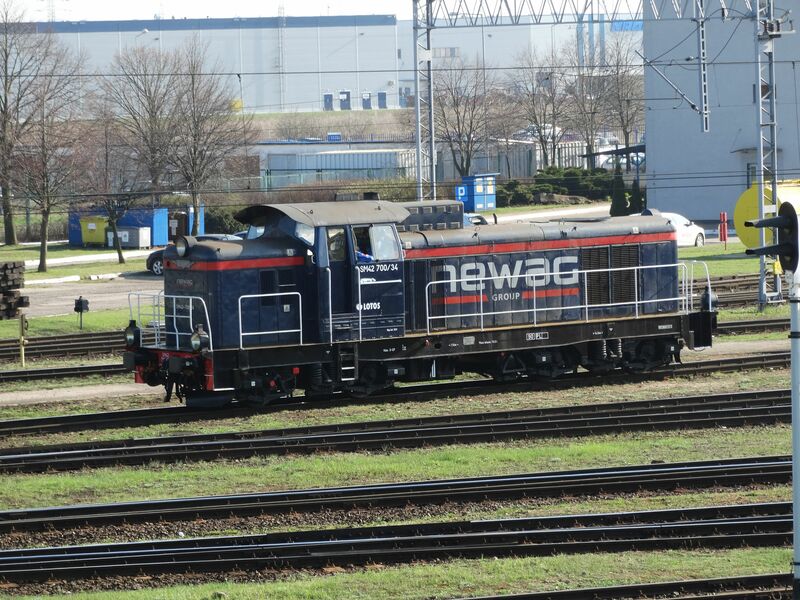 Also this is an SM42, but thoroughly rebuilt by Newag so that only the undercarriage remains of the old locomotive. 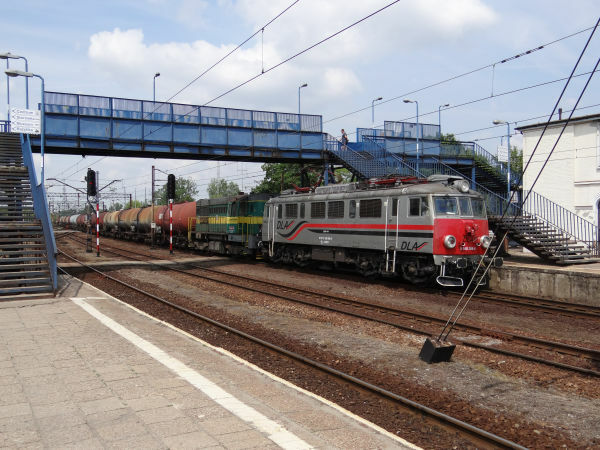 Lotos bought a number of old Czech electric locomotives of the Czech class 181 as it was fairly straightforward to get them registered in Poland too. 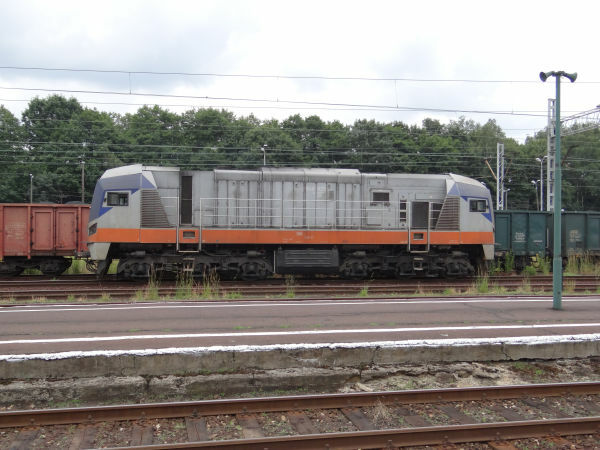 In Poland they became class 3150 and as is evident from the pictures, the machines retained their Czech registration numbers in addition to the new Polish ones. The model is a six axle heavy electric loco built by Škoda Works 1961-62. Picture in Gdansk 4.4.2017 by Ilkka Siissalo. 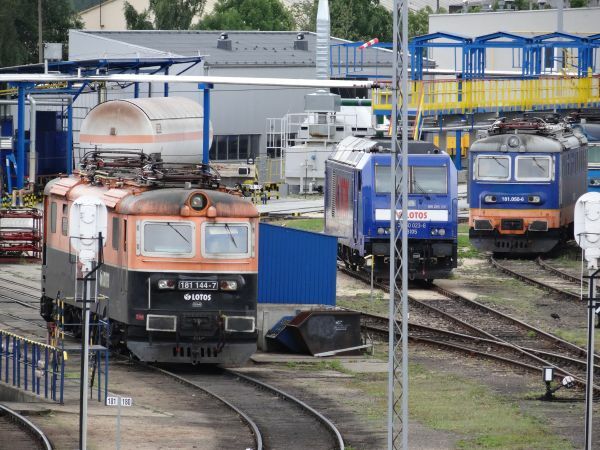 Three old Czech class 181 electric locomotives and one brand new Bombardier TRAXX multiengine diesel of the German Baureihe 285 at Lotos' depot in Gdansk. Picture 30.6.2013 by Ilkka Siissalo. 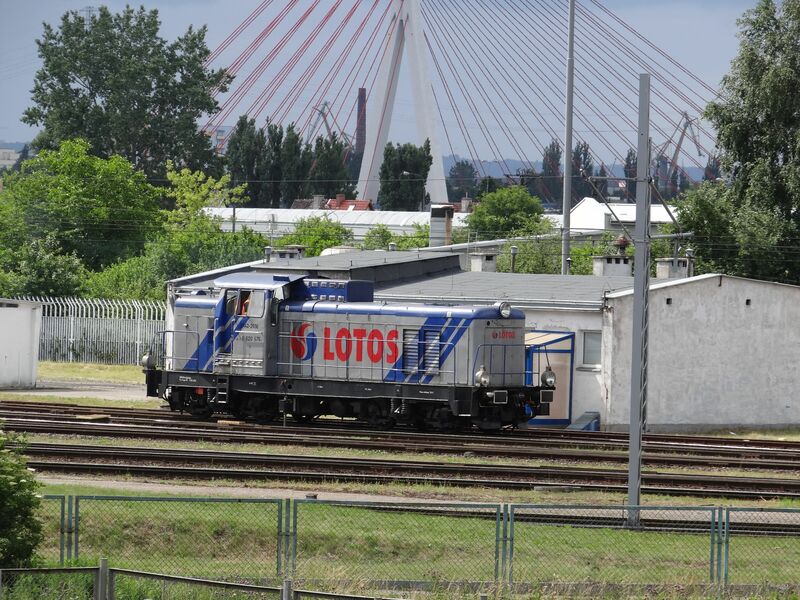 Lotos has about 80 km of its own tracks near the huge petroleum refinery that the group owns in Gdansk. Picture in Gdansk 4.4.2017 by Ilkka Siissalo. Lotos Kolej's petroleum wagon depot in Gdansk. Picture 30.6.2013 by Ilkka Siissalo. 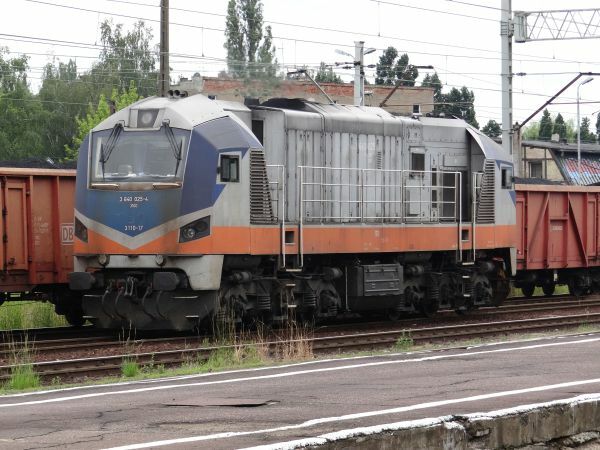 This is a modernised former PKP class EU07 locomotive, but now painted in the colours of DLA, Dolnośląskie Linie Autobusowe, which is a bus company now owning three of these locomotives. Here they operate for Lotos Kolej. The second locomotive is an old Czech built diesel, used for shunting of the petroleum wagons at non- electrified yards. A second view of the same train as above. 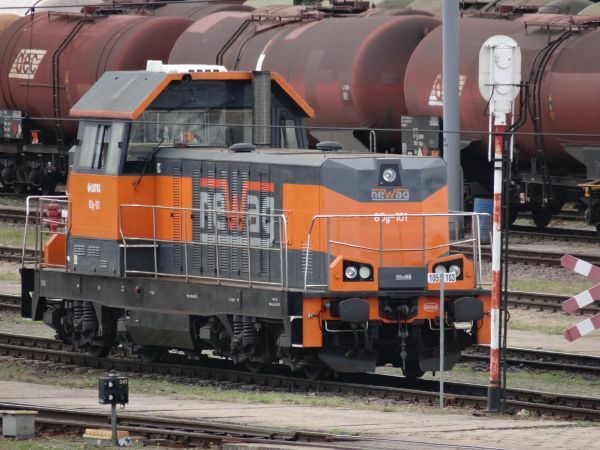 The diesel engine is an originally Czech machine of their class T448p, now owned by the company Euronaft Trzebinia. 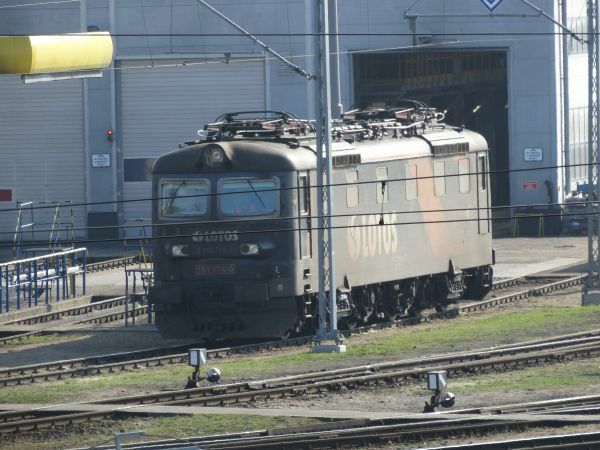 They were built 1973-89 for Czechoslovakian state railways and they are commonplace in Czech and Slovakian train yards.